CallApp Q&A > Correct wrong matching of information? Correct wrong matching of information? Why does this happen? 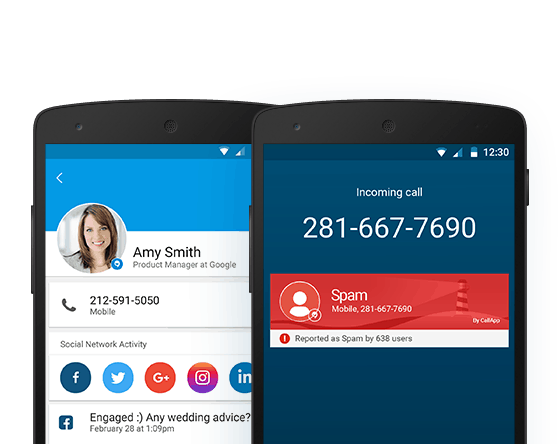 CallApp presents information to CallApp users from different social media networks and web sources, it is an automatic artificial intelligence solution for connecting each phone number in the world to up to 60 different information sources. Doing this is very ambitious and sometimes the system makes mistakes in auto-matching. How can this be solved? The good news are that you as a user can assist us to make CallApp better, by correcting wrong matches. This can be done by long-pressing the wrong information (or tapping on the question mark) and telling the system that the information is wrong when the question appears. Moreover, the user can match the correct info by himself through the app.